Telemarketing surveys in some B2B marketing cases, looking to undertaking customer satisfaction surveys it is important to select the right approach in line with your products and services and most importantly your clients. It is also important to identify your customer markets – e.g. ongoing existing customers who work with you on a regular basis and/or transactional customers who have used you for a specific purchase (product or service) and to ensure that the best approach is taken to evaluate these groups. Which method do you think they are most likely to complete for your B2B marketing approach? Postal Survey – this is usually recommended if you are looking to seek the views of a large number of individuals and convert them into leads. 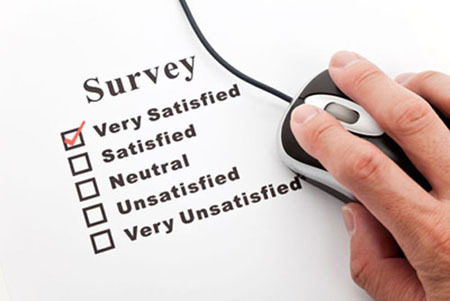 Online Survey – this is probably the cheapest method of gathering views but is often poorly completed possibly because of the volume of digital communication with individuals. Telephone based Survey – this offers a personal approach and typically generates a higher response rate than other methods. Face to Face Surveys – this is an expensive option and usually involves a more detailed conversation around the total experience. For all of these methods in telemarketing surveys, a questionnaire is usually set up with a series of questions asking about a particular element of customer experience and asking for a customer to rate that experience on a scale of e.g. 1-5 and often a probing question asked to try to understand why the customer has scored in a particular way (if appropriate). To enable easy analysis of responses in telemarketing surveys, it is usually preferred to ask more quantitative questions with only a few qualitative questions. At the end of the questionnaire, there should be a set of results that provide intelligent feedback to a company and when all the results are consolidated a useful overview provided. The questions can also be analyzed in a number of ways – e.g. geographical, by product/service/department etc. Telemarketing surveys companies should focus on quality and that the key objectives are to ensure good quality completed satisfaction calls for their client. They achieve this by closely aligning the brief so that there is a clear understanding by both the client and the client’s customer of the purpose of the call. This entry was posted in Telephone Survey and tagged appointment setting, b2b lead generation, b2b marketers, telemarketing by admin. Bookmark the permalink.